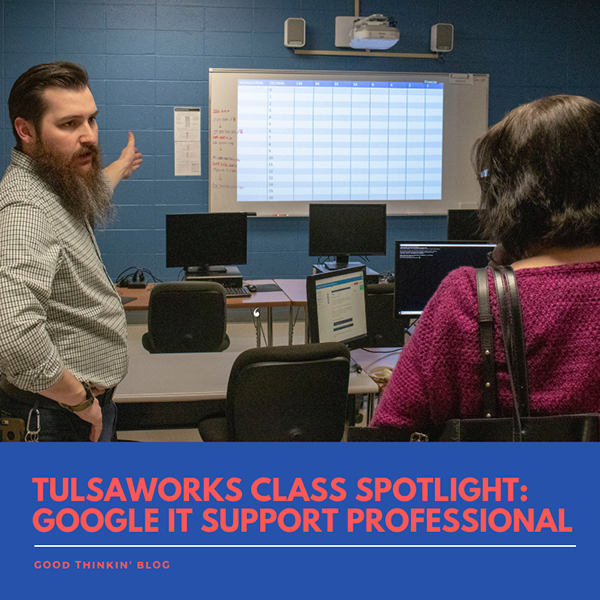 Although the students share common goals, they have different motivations for taking the Google IT Support Professional Certification course at Goodwill TulsaWORKS Career Academy. TulsaWORKS offers a suite of digital training courses that prepare participants for different aspects of the IT industry, from computer basics to recognized certifications. Google IT Support Professional Certification is an 8- to 12- month course that provides intense training on entry-level IT skills. Participants learn through self-paced virtual training at home and weekly onsite class work at TulsaWORKS with instructor Montana Nanney. The Google IT Support Professional Certificate is a plus for anyone looking for a career in the industry. However, talking with some of the students at a recent class revealed each one has his or her own motivation for mastering the IT arts. 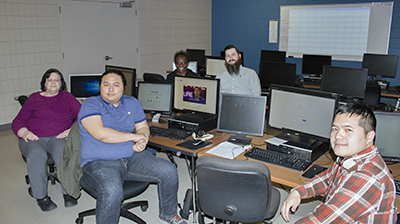 Instructor Montana Nanney (second from right) with students in the Google IT Support Professional Certification class at TulsaWORKS. Ricky has a job with the IT Help Desk for San Diego County. He says he had the confidence to apply for the post because of the skills he learned in the IT track at TulsaWORKS. 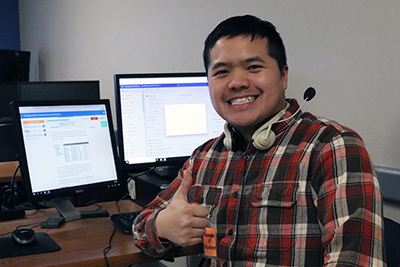 Now in the Google IT Support Professional class, Ricky can keep striving and get better in his career field. "You learn a lot, you grow." Ricky said, taking a pause from an exercise in password management. "(The class) is going to make you grow and get you to where you want to go." Vungh wants to enter the IT support industry for a very practical reason: It pays well. Vungh has been out of work for five months and he missed the enrollment period for IT Fundamentals. However, Montana was able to get him enrolled in the Google IT Support Professional class while Vungh waited so he could keep his skills sharp. Now he is taking both classes. He said he does a majority of the class work at home, but enjoys the onsite lab time. 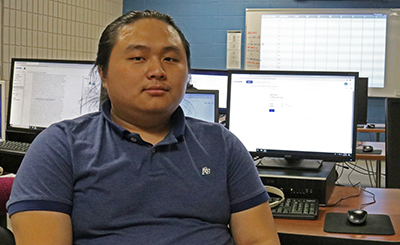 Vungh has his eyes on more IT training with the goal of eventually working as a junior network administrator. "I like where it's leading me now," Vungh said. Lorna, a retired nurse, is in her second career as a small business owner. Lorna is also a nontraditional student: She turns 60 this summer. Grateful for the opportunity to "still learn," Lorna has a better command of Excel after taking the Workplace Computer Skills class at TulsaWORKS. 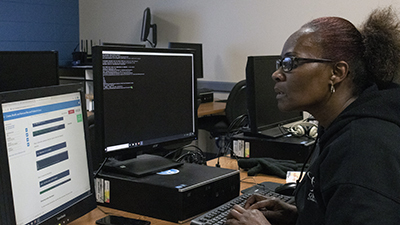 With the Google IT Support Professional classwork, Lorna sees herself becoming more proficient in topics such as networks, encryption, website construction, and hardware connectivity. "Every business owner needs to know these things," Lorna said. "It's the life and death of your business." Lorna believes Goodwill is providing a great service for small-business owners: "They are teaching you how to be the CEO and CFO of your company." "One quality that runs through here is that it's real instruction," Lorna said. "There are very qualified people here." Lorna is on the verge of launching the full vision for her small business. She understands the magnitude of the undertaking and she wants to be prepared. "My business. That's why I'm taking all of this," Lorna said. 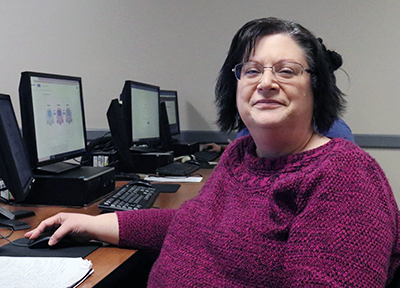 Denise was encouraged to enroll in Google IT Professional Support training after she breezed through the IT Fundamentals class at TulsaWORKS. She needed less than two weeks of the six allotted to finish the first module of Google IT Professional Support. Even though Denise has past experience working with ATMs in the 1980s, she is a little surprised that Google IT Professional Support is coming so easily. Her class experiences have rekindled Denise's interest in computer technology. "Montana helps a lot; he encourages you," she said. "He says ‘you know more than you think.' He makes it see not quite so complicated." Denise's goal is to work on a company's internal tech support team. She takes the Computer Support Tech Training/A+ class during the day and appreciates that she can work on her Google IT Support Professional coursework either at home, or at the library, or at Goodwill. "I tell everyone about Goodwill," she said about the class offerings, "I tell strangers about it."